Home > Blog > How do credit cards work? This is a guide to how credit cards work in Australia, helping you understand credit limits, annual fees, interest rates and repayments. Credit cards are a popular way to use credit for making daily or regular purchases. The money used to pay for goods or services when using your card is borrowed, so before the credit period is over, it must be repaid. If a cardholder fails to pay back the outstanding balance by this time, they typically accrue interest on the amount owed. While your card may come from an Australian bank, it will most likely be part of an international payment network like Visa, Mastercard or American Express. While credit cards are fairly convenient, unfortunately for us, they’re not exactly a blank cheque. Credit limits are the maximum amount of credit that you, as a cardholder, are allowed to spend. When you apply for a credit card, your bank will often assign you a limit based on your credit history and income details. You can request the option to increase or decrease this limit when first applying for your card or later as you get used to it. This process will vary with banks, but remember that once you do exceed your credit limit, you could be charged an overdrawn or over-limit fee by your bank. As we’ve mentioned once before, a ‘free lunch’ is pretty rare when it comes to finance. Credit cards will in many cases come with an annual fee for having provided the service. Your credit card’s annual fee will reflect whether you’ve signed up for a standard or premium card and a typical range for Australian credit cards can be between $0 and $450+. Premium cards with more features such as frequent flyer points, travel insurance or rewards programs, will be at the higher end and attract higher annual fees. Lots of Aussie credit cards make it possible for you to earn points for using them through a range of rewards programs. You’re probably already familiar with frequent flyer points and gift vouchers, that you can accrue at a certain earn rate when making eligible purchases. For instance, if your bank is partnered with Qantas or Virgin Australia, you’ll be offered the chance to earn Qantas or Velocity points respectively. An earn rate simply refers to the ratio of points earned to money spent using the card, an example being 1 point earned for each $1 spent. Credit cards come with interest fees unlike their debit or prepaid counterparts. What this entails, is a percentage interest charge added on top of each amount the cardholder spends using the card. This is the fee for having utilised the credit lent by the bank. 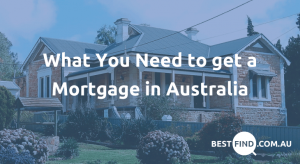 Interest rates for credit cards in Australia will often range between 9.99% and 20.99% per annum, and your interest will be charged when your statement period comes around. Interest is charged based on daily outstanding balances from a range of factors, one of which is outstanding payments. It’s also common to see credit cards offering zero interest or honeymoon rates (typically during a balance transfer), as a means of promotion. It’s important to remember that once this promotional period ends, you’ll be looking at a standard interest rate for using your credit card. When do I make repayments? any amount by which you’ve gone over your credit limit in a previous period. Any outstanding balance that isn’t repaid by you at the end of the period will incur interest fees. Because of this, it’s usually best to try and repay your outstanding balance completely. This will vary again depending on your bank. BPAY is usually an option, or you can direct debit from one of your accounts. It’s also possible to make manual transfers from an account or pay in person at a branch. How are my repayments prioritised? 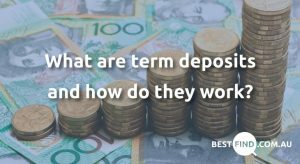 In accordance with the 2012 Australian Credit Card Reforms, it’s necessary for your bank to use your repayment for whichever outstanding payment is being charged the highest interest. If you have 2 outstanding debts being charged 20% and 14% interest respectively, the amount you repay will be to settle the 20% debt first. The majority of credit cards available these days will come with a contactless payment feature (otherwise known as “PayPass” from MasterCard or Visa’s “payWave”). This feature saves you a trip to the ATM or wasting time at the EFTPOS terminal (swiping your card and all that jazz) by letting you simply tap your card on a contactless payment terminal to make your purchase. This covers payments up to $100 and so is useful for smaller, quick purchases. Above $100, the contactless feature still works but you’ll need to enter your PIN. Global acceptance – larger payment network providers like Mastercard, Visa and American express will be accepted most places worldwide. Certain countries don’t accept these however, for example Iran, Sudan, Syria and North Korea won’t take Mastercards anywhere. 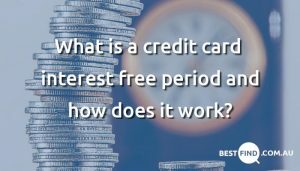 Hopefully our credit cards guide has answered most of your questions and helped you understand credit cards a little better. Because these products come with a fair amount of considerations, we’ve also put together some other articles that might be helpful.